Windows 10 is hilariously unintuitive. I had to use 3 seperate account control panels to remove a picture, rename an account and create a new admin account! 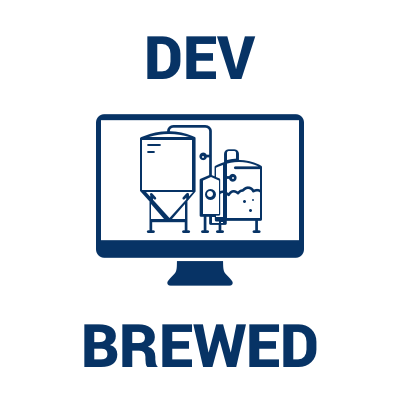 We’ve released the first episode of a brand new podcast; Dev Brewed. On this episode me and Glenn introduce ourselves and our businesses, and we discuss some of the future topics that we will be covering in the future. After the show we share our thoughts on Apple’s “Show Time” event. Dev Brewed will be a monthly podcast, and on the next episode we will talk about our experiences with raising funding and capital. Neither me or Glenn have ever recorded or edited a podcast, so we are super proud of what we have achieved. The quality and content of the show will only get better from here. We hope you enjoy and subscribe! It’s interesting that these keyless cars can be stolen with a relay device, and Apple solved this problem with Apple Watch unlocking of Macs with time of flight calculations. I’ll hopefully be recording my first Podcast episode this weekend. Currently playing around with some logo ideas. Dev Brewed - A podcast exploring the ups and downs of an independent iOS developer and the founder of a micro brewery. Where are all the new Apple Stores? The folks over at ATP and also @manton and @danielpunkass of Core Intuition have been talking about their views and experiences with the Apple Store, in light of Angela Ahrendt’s departure. They (and apparently everyone else) think that Apple should have more stores. Apple obviously could open more stores. However, I think their own hubris is holding them back. They’ve famously had the highest dollar per square foot for any retail location, and this has allowed them to set up shop in the world’s most sought after retail spaces. In my local city of Cardiff, they are placed directly in the middle of St David’s shopping centre. Short of repurposing Cardiff Castle, I couldn’t think of a better spot. They want their stores to be shining beacons in the cities they are in. Having one on every corner takes away their allure. It doesn’t allow them to be the architectural and interior design marvels that we’ve become accustomed to. They would become just like any other retail store. I don’t expect Apple to release a thicker iPhone with a focus on battery any time soon. I don’t expect to see an influx in Apple Stores for much of the same reasoning. So Apple has pulled Google’s enterprise certificate now. Get the popcorn out! 🍿 I see the power dynamics of all the big tech companies being tested over the next few years. Apparently ‘Emo Rap’ is a thing, and they’re sampling Brand New songs. I’m officially old. 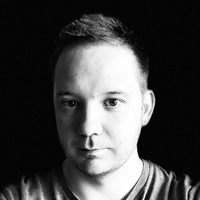 Any recommendations for an iOS Markdown App?